Millionaire American discovered to have Irish ancestry. This wouldn’t be the Year Of The Gathering would it? Anything to get the tourists in! What next? Osama Bin Ladens great great granny was from Aran Mór? This desperate need to claim everyone and everything as Irish is pathetic. Besides, “Far and Away” was horrible, in part because of TC’s terrible Irish accent. At least it lets me walk through the “Irish Only” line at Dublin Airport. This entry was posted in Arts & Culture and tagged Certificate of Irish Heritage, The Gathering Ireland, Tom Cruise on April 3, 2013 by admin. The Emerald Isle is promoting a giant homecoming called The Gathering Ireland 2013. In addition to feel-good reunions and genealogy, the promotion is designed to boost tourism and other economic development. 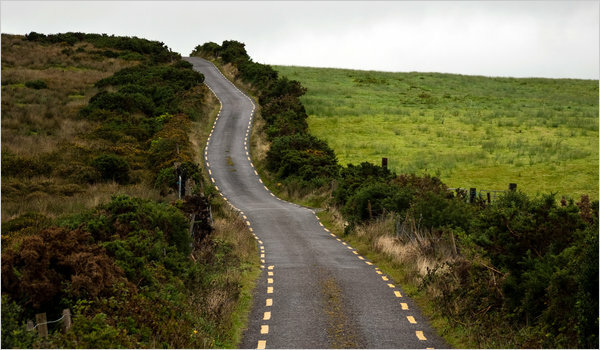 The number of visitors to Ireland was flat during the first half of 2012, though increased slightly in the second quarter, The Irish Times reported. The timing of next year’s “Gathering” has special resonance in my family. My grandmother emigrated in September 1912; my grandfather in May 2013. Both were from rural north Kerry. More on their centennial voyage, and next year’s events, in future blogs. This entry was posted in Arts & Culture and tagged The Gathering Ireland on July 28, 2012 by admin.